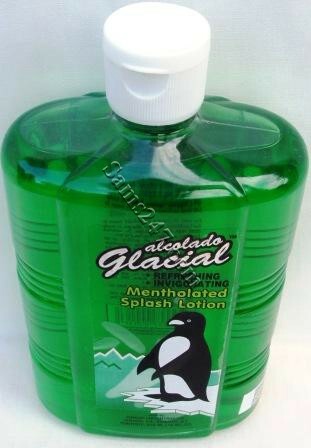 Alcolado Glacial - "The air-conditioner in a bottle." For over 50 years a household name in the Caribbean. Alcolado Glacial is much more than just a cologne. Its menthol fragrance refreshes from head to toe. Uses: For cooling off quickly: as an aftershave: for relieving congestion caused by the common cold: for preventing and treating mosquito bites: for headaches, fever and soothing sore muscles.